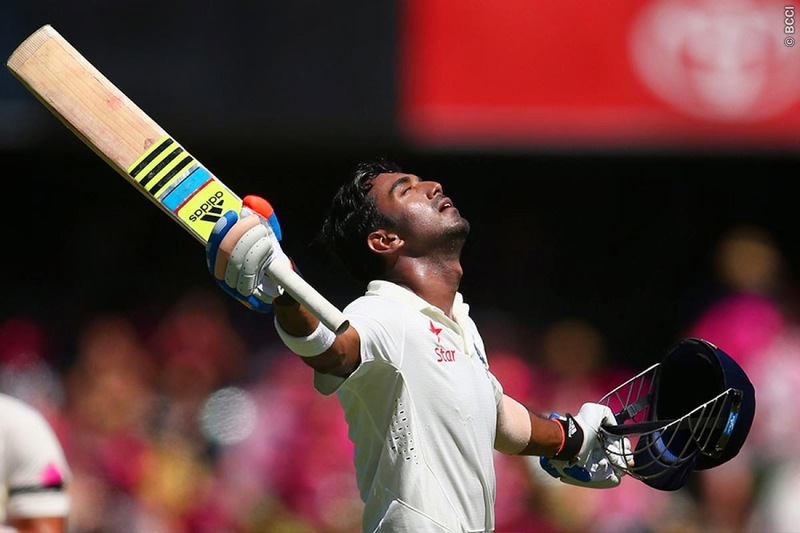 When KL Rahul was dismissed for 3 and 1 on his Test debut at the MCG, top edging a sweep and a pull respectively, the Australian public and experts found it hard to fathom why the 22-year-old is rated so highly in the Indian cricket circuit. Those who had followed his first-class career and knew his game, were convinced those dismissals were aberrations. But it was not easy to explain. One man took up that challenge, of convincing the Australian public of Rahul’s credentials as a Test batsman, in contrast to what they saw at the MCG. And he is an Australian. During a commentary stint during that Test, Tom Moody suggested that India should promote Rahul at No. 3 in the fourth Test, if not in the second innings at the MCG. Sure enough, Rahul walked ahead of Cheteshwar Pujara in India’s second essay. Moody has seen Rahul closely and has worked with him as the coach of the Sunrisers Hyderabad at the IPL. And his faith in the young man is incredibly strong. It’s not Rahul’s performance in the IPL that warmed him up Moody but his character off the field and batting technique in the nets. Here’s what the former Australian batsman said as his ward vindicated his belief with an extremely patient and resolute century in the first innings of the Sydney Test. He opened the batting in place of the dropped Shikhar Dhawan and India had lost the in-form Murali Vijay in the first over. But he went on to score 110 runs full of character and substance. And to Moody it didn’t come as a surprise one bit. When Rahul joined the SRH camp, it didn’t take the coach long time to realize that this young man has a long Test career ahead of him. “He impressed me immediately. His work ethic was a stand out. He was very professional in his approach and very hungry to practice long and hard. The real stand out was that technically he looked very complete. He looked capable both on back and front foot. With most young players you feel like they can develop certain parts of their game but Rahul looked like he had worked it all out by himself. To me he was always going to be a capable long-form cricketer. Test cricket moves quickly and if you don’t move with it, you’ll be left behind. Rahul certainly came across as someone who was eager to keep improving as a person and cricketer, which is a very good trait to have at such a young age. Much was read into his twin dismissals on Test debut in the Boxing Day Test. But there were many factors that worked against him. Not only he had a debutant’s jitters, it was the first time in his first-class career that he batted at No.6. And he had to wait 57.3 overs padded up, as the Virat-Rahane juggernaut rolled on. Moody feels it is unfair to judge him from that Test. During his century, the Aussie bowlers did try to ruffle Rahul up with short balls. But he looked deft in his technique of leaving them: eyes on the ball, a timely sway, bat dropped. However, thrice in as many Test innings so far, Rahul has miscued a pull shot and has twice it has resulted in his dismissal. Moody doesn’t feel there is any chink in his armour against the bouncer. In fact, according to him, Rahul has one of the better techniques against the short ball. “He does play the short ball well and leaves it very well. The key with him is that he watches the ball really nicely and till the end. A lot of players tend to turn their heads away when ducking or leaving the ball, which means they aren’t watching it properly. He generally plays the pull pretty well but you have to understand that it is one thing playing the shot on Indian wickets against medium pacers and quite another doing it in Australia against Starc and Johnson’s pace. I am confident he will absorb all that he could from these experiences because his character is such. He is like a sponge, a real learner. While Moody believes Rahul is a top-order batsman, he doesn’t think the decision on his position in India’s batting order is that straightforward. “Whether he opens or bats at 3 in the long run will depend a lot on the other batsmen around. There have been quite a few changes in the Indian batting lineup in this Test – this is the first time that Rohit Sharma has batted at 3 in his Test career and he looked more comfortable there than he has done at 5 or 6. The captain and the selectors need to work out how they see the batting order in the next three years. Pujara hasn’t had a good time overseas but he is an excellent player with a remarkable home record. He is not someone the selectors would give up on because he is a quality act. As for Rahul, there is no doubt he is a fine top-order player and since he is only 22, there is a decade ahead of him. Even before he made it to India’s Test squad, KL Rahul was known in the circles of Indian cricket as the prodigy of his namesake. Young Rahul has grown up idolizing Rahul Dravid and shares a fine rapport with the legend. Moody too sees an image of the great man in this 22-year-old.